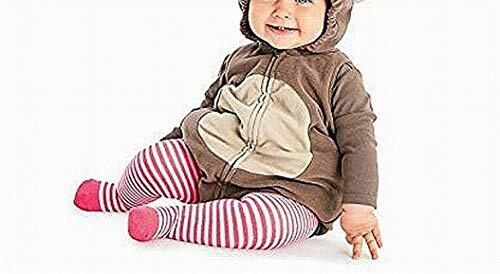 This baby monkey costume includes one piece bodysuit (no tail), hood with plush tuft, ears and booties. 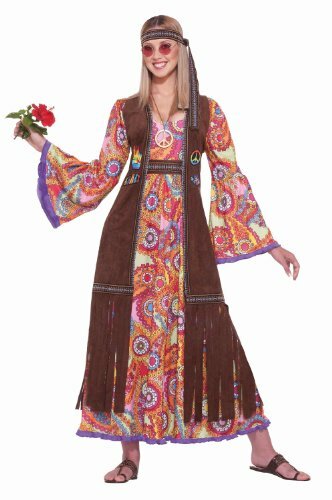 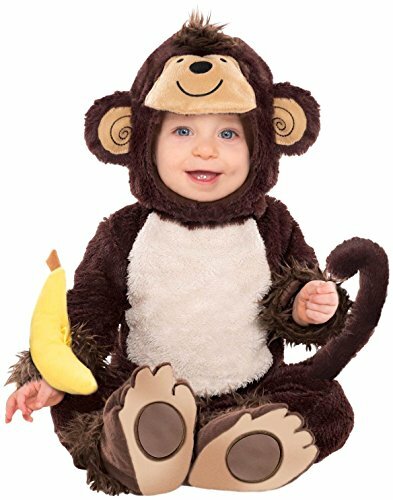 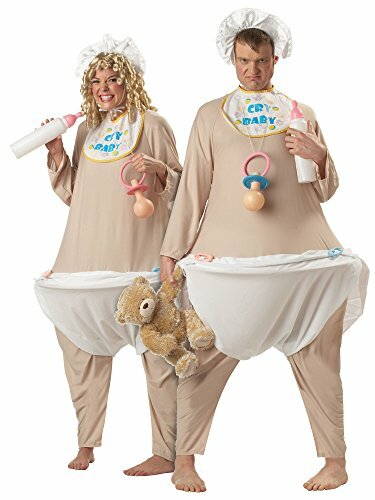 The baby monkey costume comes in baby sizes Infant Large, Infant Medium, Infant Small. 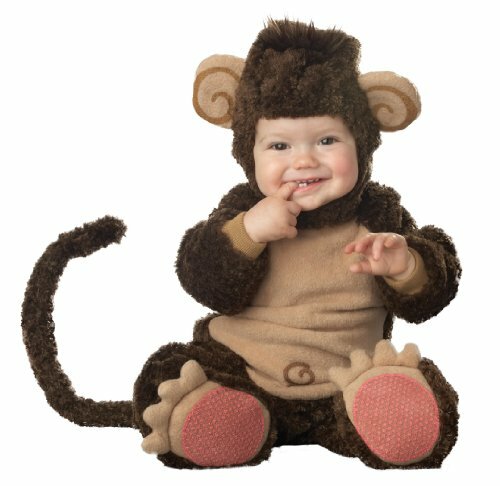 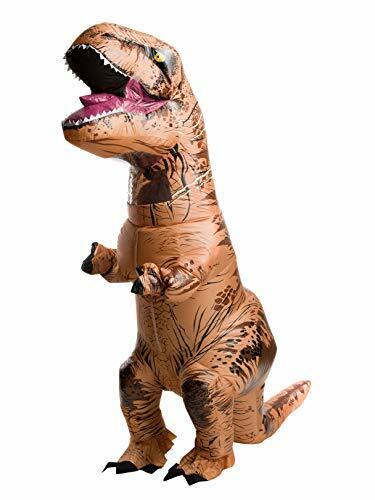 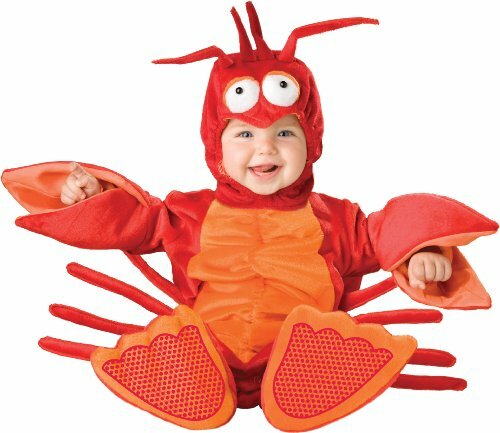 Our infant monkey Halloween costume features a bodysuit with snap leg closures for easy changing. 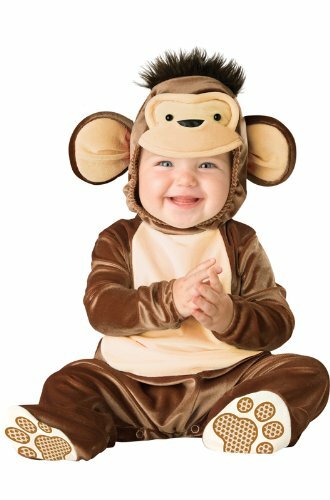 This super cute chimp costume has feet with skid resistant bottoms.